MTK Multi Tools collection is the collection of tools for fixing issues in MTK based android devices. This is the collection of best and most popular tools which will help you to fix issues in your MTK based android smartphones and tablets. Using these tools you can easily remove FRP lock, bypass Gmail id, unlock bootloader etc. 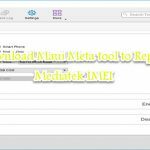 You can Download MTK Multi Tools Collection 2019 full setup installer file from the link given at the bottom. It is completely free to download. 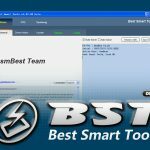 All the features of this tool is completely free. You don’t need to pay for anything. All the tools are free. So download the collection of tools and enjoy. There are lot of useful tools included in the MTK Multi Tools Collection 2019. Below is the list of available tools in this package.